“We shall pick up an existence by its frogs.” ― Charles Fort, Lo! 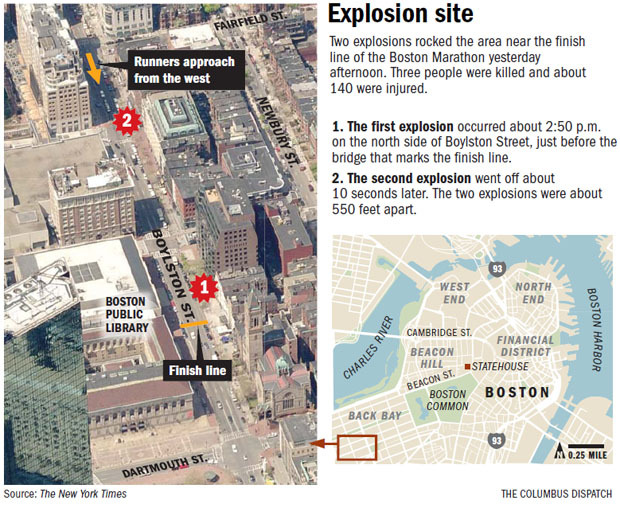 The Patriots' Day explosions at the end of the Boston Marathon were placed on Boylston Street. 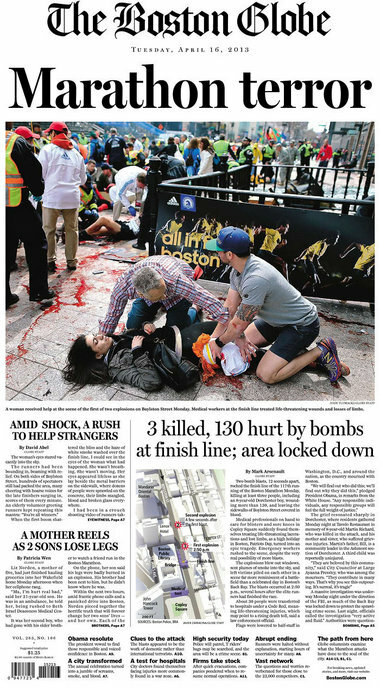 So far, 176 were injured and three have died, caused by two pressure cooker-style bombs in black duffel bag, left concealed near the race's end stretch. There will be discussions of many aspects of this sad tragedy. Here we look at the twilight language. Yesterday, I examined parts of the hidden and forgotten history of the date. 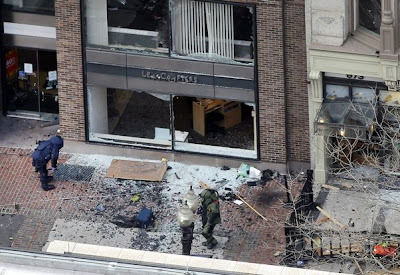 The first bomb was placed in front of LensCrafters, 699 Boylston St, Boston, MA 02116, near the end of the Boston Marathon, next to a shop called Marathon Place, to the side of a reviewing stand. 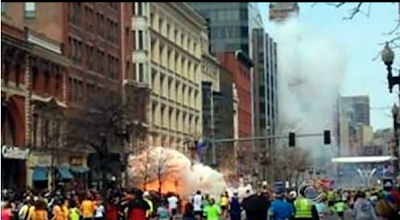 The white ash of the bomb is visible above. 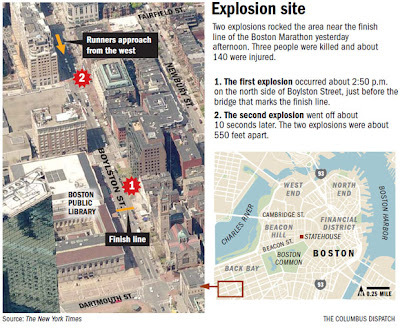 The second bomb (below) was across from the Lenox Hotel. The location of the second bomb seems to have been in front of the Forum in the 700 block of Boylston Street. What do we know about the general but specific site? The location? If we dig more deeply into the toponymy (the study of place names) of this event, what do we find? 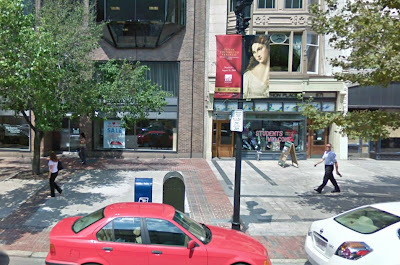 The White Horse Tavern stood on Newbury (later Washington Street), near Frogg Lane (later Boylston Street). 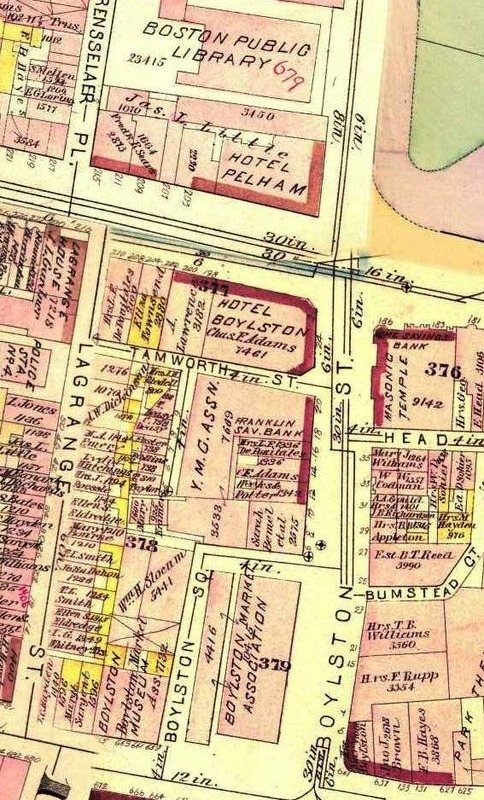 Detail of an 1883 map of Boston. The location of the Masonic Temple is clearly visible. 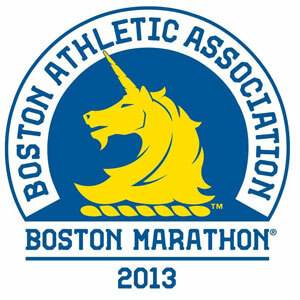 Boylston Street is the name of a major east-west thoroughfare in the city of Boston, Massachusetts. 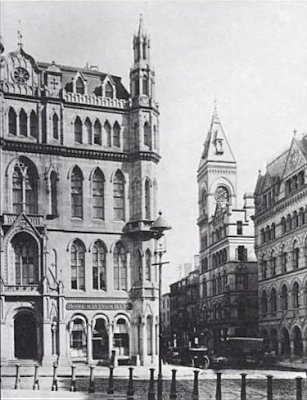 The Boston street was known as Frog Lane (or Frogg Lane) in the early 18th century and was later known as Common Street. 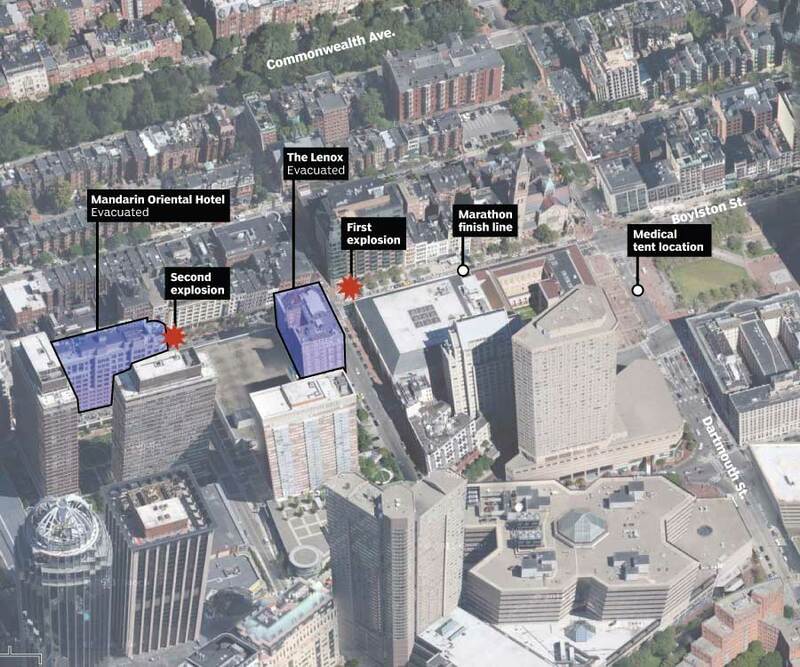 The street stretches from the Fenway neighborhood to Copley Square and the Boston Common. 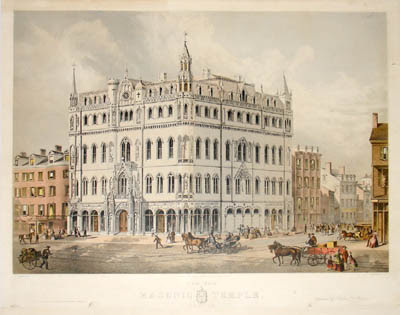 In 1749 and 1750, it is known that the Third Lodge of Freemasonry in Boston was held at the White Horse Tavern on the first and third Wednesday in every month. 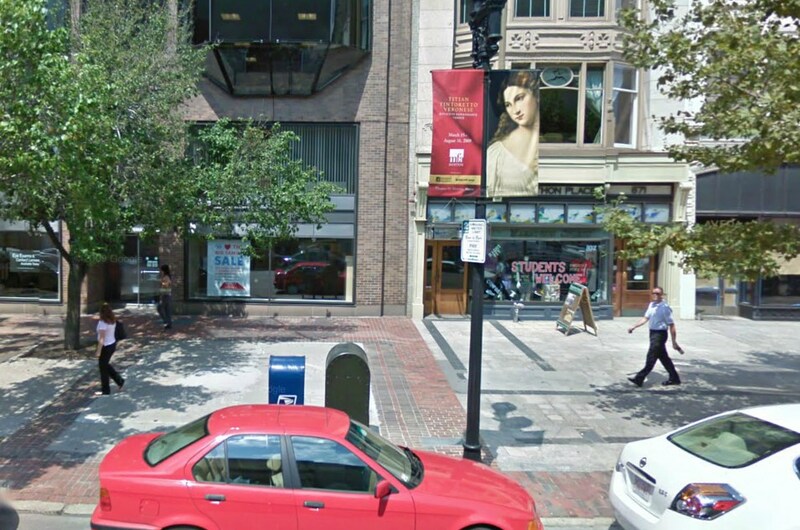 This one section of Boston has some of the most important old Masonic landmarks and sites of anyplace in America. This area housed many taverns which served as Masonic Meeting Houses, including the Greyhound Tavern (Washington & Warren Sts), British Coffee House (King St, now State St), George, later called King's Arm Tavern (Boston Neck), White Horse Tavern (Frog Lane, now Boylston St), and the two most famous Masonic taverns, the Green-Dragon Tavern (Hanover & Union Sts) and Brunch-of-Grapes Tavern (King St, now State St). 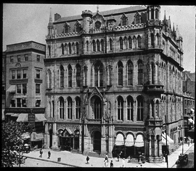 Masonic Temple, corner of Tremont and Boylston Street. Frog (or Frogg) Lane was later again renamed for Ward Nicholas Boylston (1747–1828), a man of wealth and refinement, an officer of the Crown, and philanthropist. Ward Nicholas Boylston (1747-1828; born Ward Hallowell), a descendent of the physician Zabdiel Boylston, was a man of wealth and refinement, a merchant, a philanthropist and a great benefactor of Harvard University. He was a brother of Admiral Sir Benjamin Hallowell Carew, one of Nelson's Band of Brothers, and a nephew of Governor Moses Gill. He was born in Boston and spent much of his life in it. His father, Benjamin Hallowell, Esq., was the Commissioner of Customs, and the family lived in the Jamaica Plain end of what was then the town of Roxbury, just south of Boston. His mother, Mrs. Mary (Boylston) Hallowell, was the daughter of Thomas Boylston, and a first cousin of Susanna Boylston, the mother of the 2nd President of the United States, John Adams, and grandmother of the 6th President, John Quincy Adams. Ward received his early education in the free public schools of Boston. In 1770 at the request of his uncle Nicholas Boylston, he dropped his surname of Hallowell and changed it to his uncle's name, Boylston, who promised to leave him certain large estates in his will. 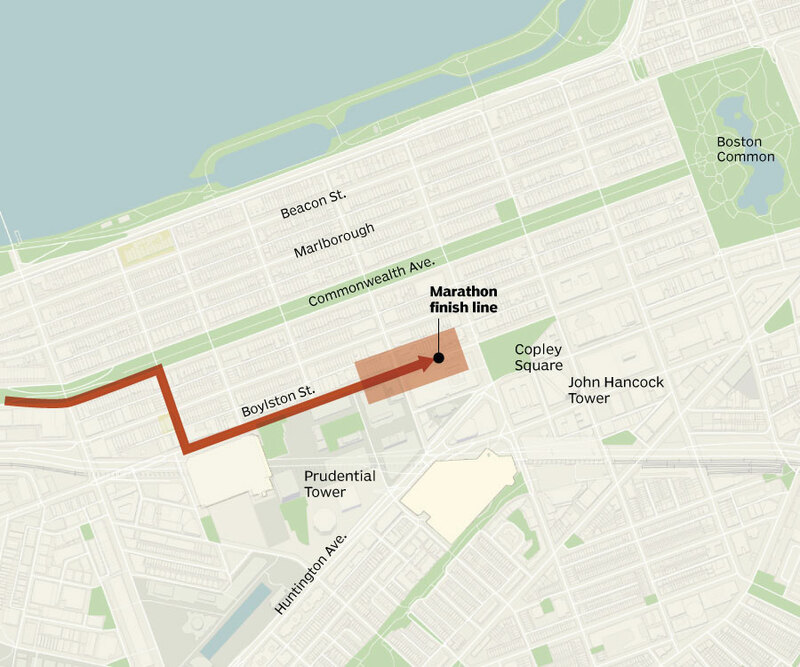 In 1773, Boylston left Boston for an extended journey through Europe and Asia. In 1775 he arrived in London, living there for twenty-five years and in various aspects of trade. In 1800 he returned to Boston. Old maps often do not match the parallel nature of the current street names, as in the following new maps. It is to be assumed that shifts in street placements and names have occurred over time. 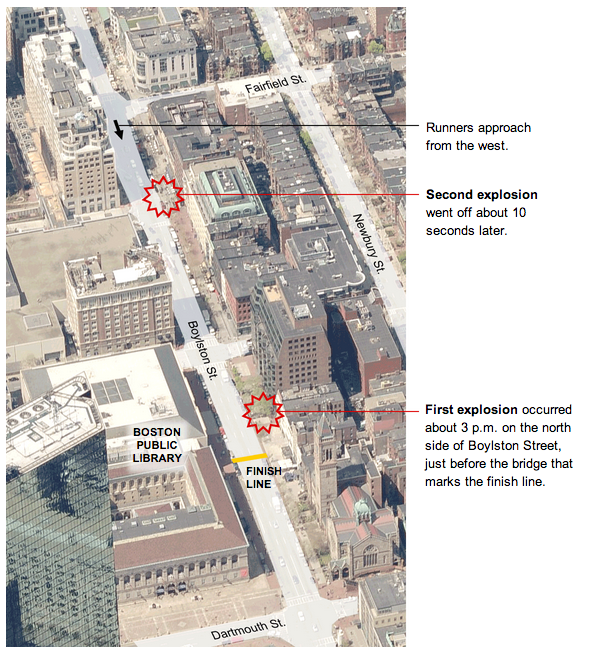 The area of the bombings on Boylston Street are graphically shown above. This is a significant symbolic site that was picked for a reason. That motivation remains to be discovered. The Copley Square area in general is of some interest. I found a long article which argues that it deserves to be considered the intellectual epicenter of American culture. The quote below is from a section on the founding of MIT -- whose first location was in Copley Square. "[Lowell] established his headquarters on the top of a ruined palace at Luxor and set about examining the remains of the Pharaohs. . . . .[On] April 1,1835 he turns to his friend and trustee, John Amory Lowell, to elaborate on the will he had signed before leaving Boston. . . . He states his purpose simply. "‘As the prosperity of my native land, New England, which is sterile and unproductive, must depend . . 1st, on the moral qualities, and 2dly, on the intelligence and information of its inhabitants, I am desirous of trying to contribute this second object . 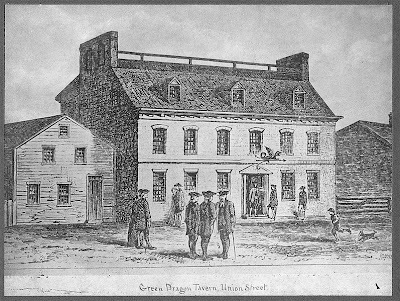 . . and I wish courses of lectures to be established on physics and chemistry with their application to the arts, also on botany, zoology, geology . . . .[and on] the literature and eloquence of our language and even on those of foreign nations.’"
Also, for whatever it's worth, the Green Dragon Tavern was where the Boston Tea Party was planned. Not that I think this implicates the present-day Tea Partiers, who for the most part seem to have little grasp of their own supposed history. The Freemasons used the first floor for their meeting rooms. The basement tavern was used by several secret groups and became known by historians as the "Headquarters of the Revolution". 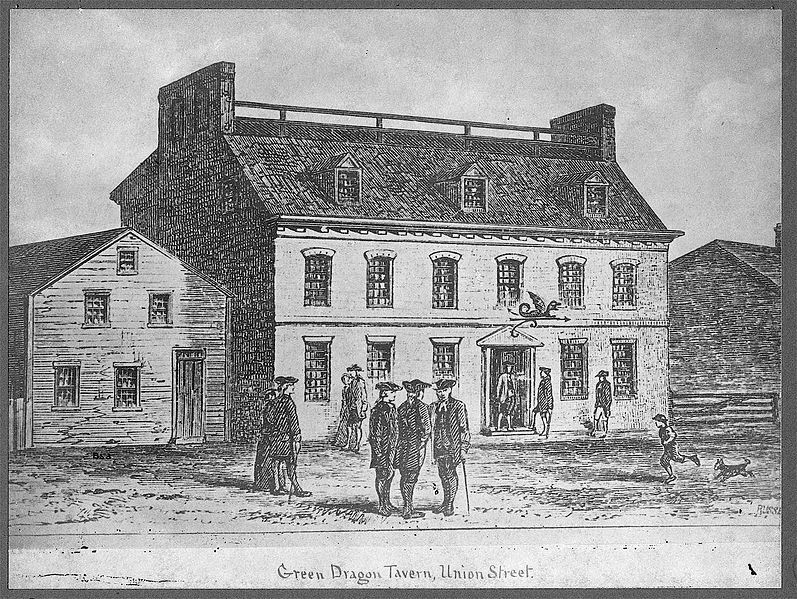 The Sons of Liberty, Boston Committee of Correspondence and the Boston Caucus each met there. The Boston Tea Party was planned there and Paul Revere was sent from there to Lexington on his famous ride. The site was obviously picked to cause the most casualties and get the most media coverage. 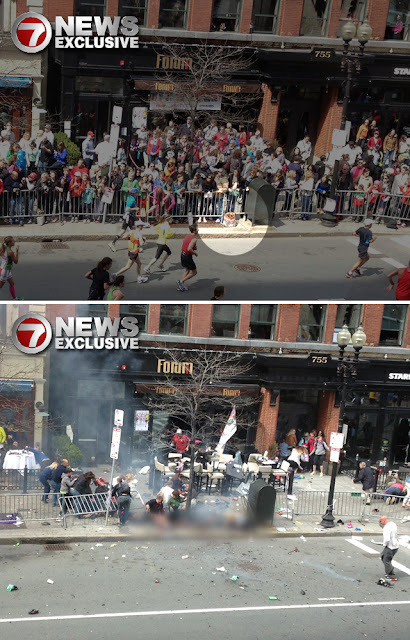 - The finish line is exactly on 666 Boylston Street. Given your suggestions of Masonic resonances in Boston, any title like this with words about explosions and da Vinci code seems interesting at least as resonances. Just as a word game, you could say that there is a simultaneity of the Frog's place (Frogg Lane) with Boyls-ton, the boiling of the (human) town. The Frog is slowly boiled, as is the (human) town. Of course I'm just saying this as a word game, not making a real hypothesis. What I think is more important is they're getting set to use this to use motives such as Tax Day (April 15), as well Tea Party (psycholinguistic association to Boston) to smear what they call "rightwing extremism", really, any and all who are opposition. Wait for quite a few Boston *Tea Party* puns. Boylston used to be frogg lane reminded me of one of the plagues of egypt.this seems to all be inundated with free masonry( specifically thru the free masonry connections of ward nicholas boylston (street named after him)from his ancestors john adams and john quincy adams both masons and presidents of the USA) and roots again back to egypt. also often frogs are identified as symbolism of satanic roots of something. Hi Loren. 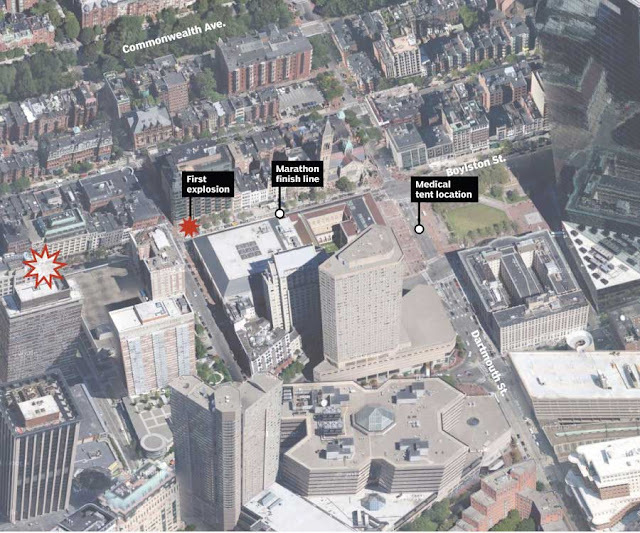 I was commenting about Boston Bombing/Ironman 3 syncs at Merovee and though I had mentioned the odd figure of the Mandarin I missed the Boston Mandarin tie in until I saw the map on this page and your comment that the locations on it were symbolic. So thanks and I wanted to send you the link since you inspired the connection.